A number of highly visible enforcement officers are reported to have stopped and searched black and Asian people randomly, requiring that they produce documents proving their identities and immigration status. Further reports of arrests of Pakistanis and raids on Asian restaurants in West London have surfaced on blogs and newspapers. “The UK Border Agency officers across the country have carried out a major enforcement crackdown which has generated a large number of arrests, cash seizures and prosecutions." The raids and checks are postulated under the guise of strong evidence, which, according to Home Office rules, justifies the actions of enforcement officers. 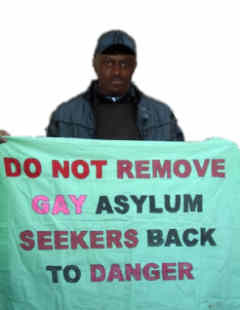 The No Borders South Wales group reported on Saturday 23 April 2011 that a number of highly visible UKBA officers carried out random checks on unsuspecting Black and Asian shoppers in the city of Cardiff in the popular shopping district of Queen Street. MRN made immediate contact with Jenny Willott MP, the Liberal Democrat Member of Parliament for Cardiff Central, where the incident took place. Ms Willott contacted the Wales UKBA office requesting further clarification on the expansion of Home Office intelligence-related operations recently deployed in her constituency. When police have been heavy-handed in the past, which on occasions caused a tense atmosphere in Cardiff, locals complained to Ms Willott, but not on this occasion about UKBA officers descending on the area. UKBA responded to Ms Willott by confirming an operation had taken place 19 April “as a result of specific intelligence” and that protocol was followed to the letter of the law. However, UKBA Guidance prohibits ‘fishing expeditions’ that involves questioning random individuals on the grounds that they might be found to be in an irregular situation. Section 31.19 of the UKBA’s Enforcement and Guidance Instructions provides a good perspective on what constitutes “intelligence-led” and fishing expeditions. The requirement that immigration inquiries be pursued on an intelligence-led* basis has provided an important safeguard against speculative forays into communities with high proportions of ethnic minority people. At a time when the coalition government has promised a substantial ramping up of enforcement activities it is essential that the border between enquiries prompted by specific intelligence should not be breached by officials running what amounts to crude ‘fishing expeditions’. Parliament has an important role to play in monitoring these developments. In the interests of race equality and good community relations it should ensure that the highest standards are maintained in this area of immigration policy at all times. Was this Crime Reduction Operation (CROP) or Street Operations (StOp)? What intelligence does UKBA possess which supports the belief that this was a location in which suspected offenders gathered at certain times? What sort of activities did UKBA’s claimed intelligence suggest the suspected offenders were involved in? What types of behaviourdid suspected offenders exhibited which justified being made inquiries by UKBA officers? Observers at the scene have reported that the action was directed either mainly or exclusively at Asian or black people: can this be refuted? Did the action lead to the identification of any immigration act offenders? If it did, how many?